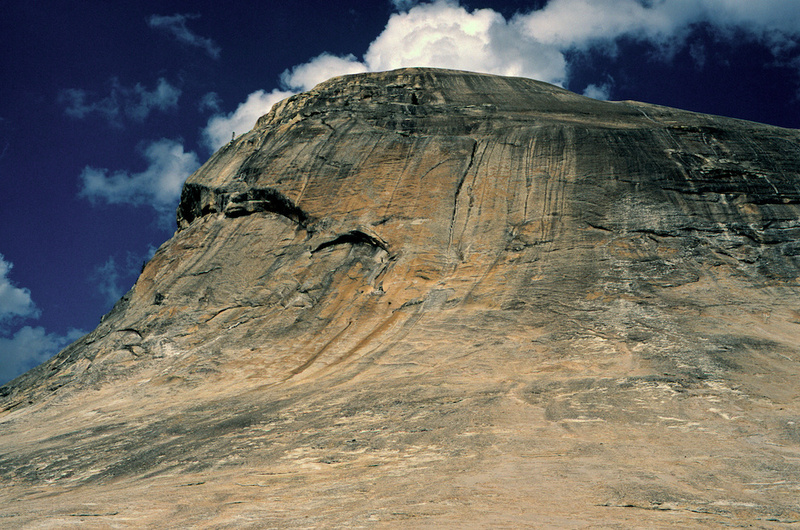 Glacier polish on the face of Lembert Dome, Tuolumne Meadows, Yosemite. Taken in August, 1999. Shot with a Minolta XG-M and the 50mm f1.7 lens on Ektachrome 400, scanned on a Polaroid SprintScan 35+, then cleaned up in Photoshop CS4, with cropping, white balance, contrast, and highlights adjustments in Aperture.